The 12 month contract costs £13.50 a month, but you get £84 cashback! The Black Friday phone deals are already starting to roll in. Forget about any other SIM-only deal you've seen - this one is epic! SIM-only deals - sometimes referred to pay monthly - enable you to save on your data, calls and texts with a tariff that best suits you. And they're available from all networks - Vodafone, O2, Three, EE, Virgin, Giffgaff, iD, Tesco and BT. Here's a great deal from Vodafone that will get you the following on a 12 month contract. It costs £13.50 per month but you get £84 Cashback meaning the deal will only cost you £6.50 per month. A steal! 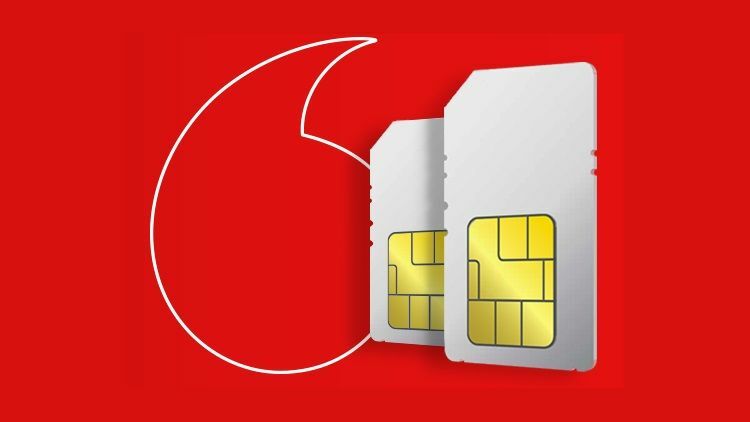 Get this SIM-only cashback deal from Vodafone. The best SIM only deals today! The most important bit of your phone is a little chip that you stick inside it: the SIM card. SIM is short for Subscriber Identity/Identification Module, and it’s the key to getting your phone to do anything. Without a SIM you can’t connect to a mobile phone network to make calls or use your favourite apps. When you buy a phone on contract you’ll be given the appropriate SIM by your network provider, but if you buy your phone SIM-free or want to change providers once a contract is over then you should look for a SIM only deal. That’s when you already have the phone and just need a SIM card to get connected.